If you’re anything like me you can’t wait to see what the next big trends in interior design are going to be. With every new season comes fresh ideas from fashion, interiors to furnishings. Sometimes, it’s hard to keep up so I’ve outlined some of the latest trends so you don’t have to. Many of this season’s top colour trends are as sweet as sugar – with feminine lavenders, soft-sage greens to warmer pinks – there’s no easier way to add a gentle touch of colour to your interiors this Spring. Whilst a few may think pastels and pink are too ‘feminine’, by adding a contrasting tone such as black furniture and accessories, you can make a statement that balances your scheme perfectly. 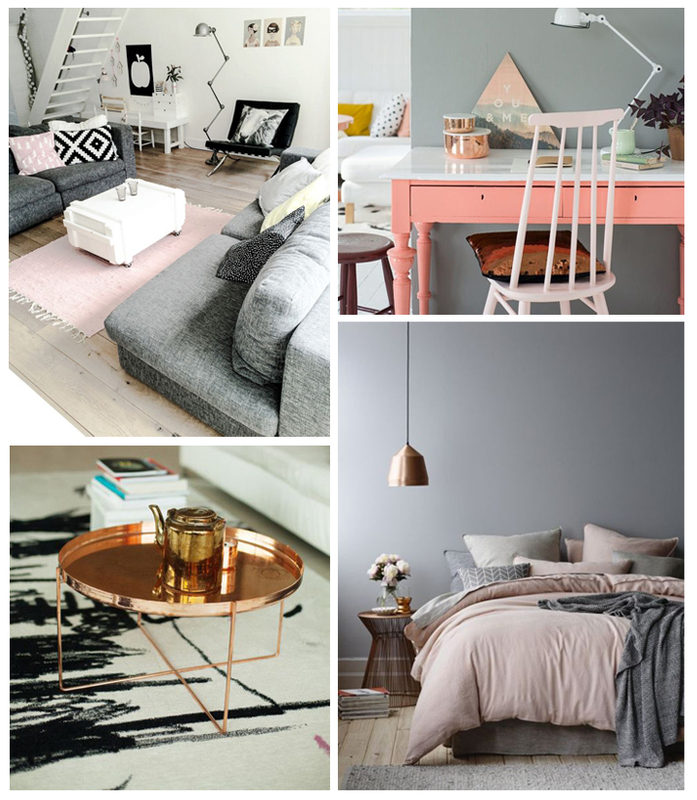 Perhaps consider using pastels as a pleasing backdrop and pair with some metallic accessories…copper, bronze and gold will all work well. If you want something a little more understated pink works surprisingly well with greys, oranges and white. Haymes Paint started the trend that many retailers are now calling “authenticity”. This honest and raw ‘look’ explores the notion that ‘less is in fact more’. It’s an unfussy, utilitarian style that cuts down on the clutter and redefines what’s important. Made up of muted, natural tones such as warm browns and creams, these colours have a calming effect and are perfect for interior accessories or styling. To recreate this look in your home start with a simple piece of furniture, like a handcrafted wooden bench or neutral earthenware and build up the textures with artwork and accessories. Last season you couldn’t get away from geometric patterns and graphic art. I’m glad to see they’re here to stay: Graphic patterns can give a tired room an instant update. This rug from Barker & Stonehouse, with an ethnic take on the geometric rug, can make a bold statement and help to ‘zone’ or tie a room together. 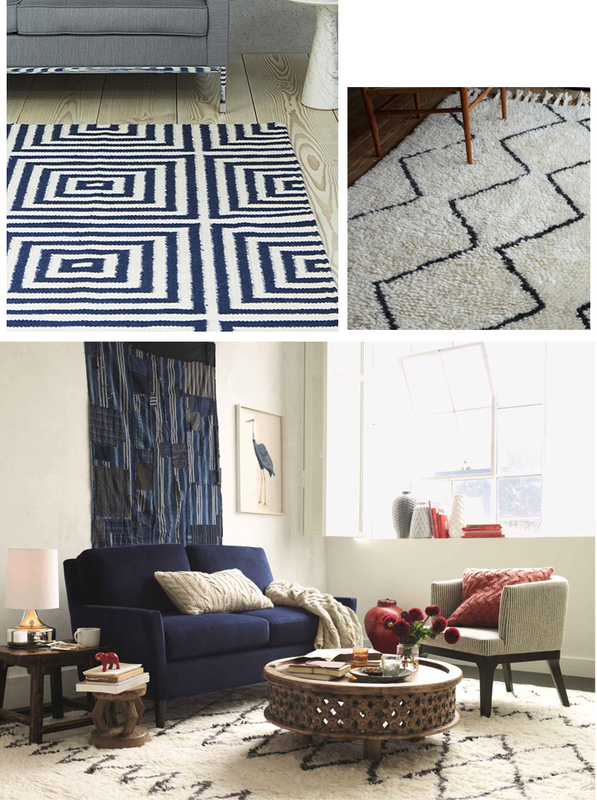 If the navy and white combination is a little too busy for you, then the Souk Wool Rug from West Elm is a sophisticated alternative. 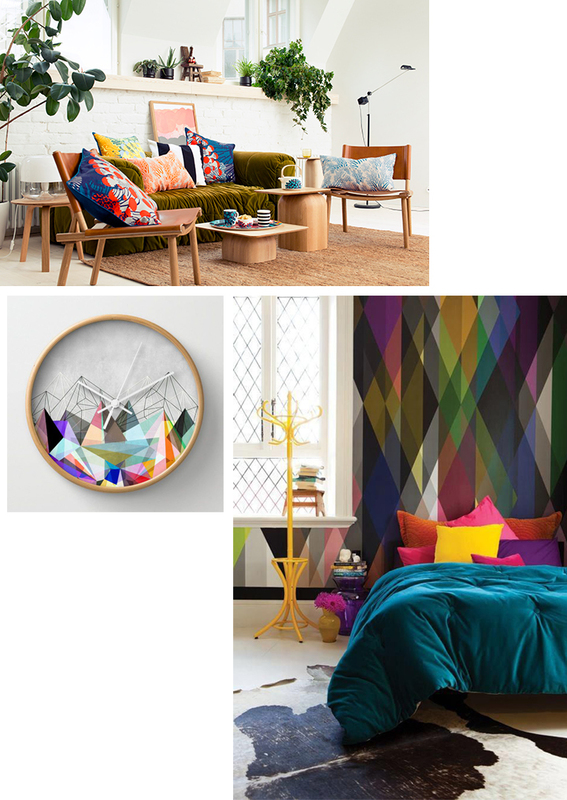 As you’ll see from the latest article, “Wallpapers: Create a Spring Inspired Interior” there has been a shift from inoffensive neutral colour palettes to homes with daring, bold schemes that have real attitude. Whilst not for the faint-hearted, this Circus wallpaper from Cole & Son is a beautiful example of how to you can add an instant wow-factor to any room. If you like the style but only want small amounts of the pattern, then why not up-cycle a piece of furniture in a similar design or introduce a fun, retro clock – for the budget conscious you’ll find similar versions on etsy. 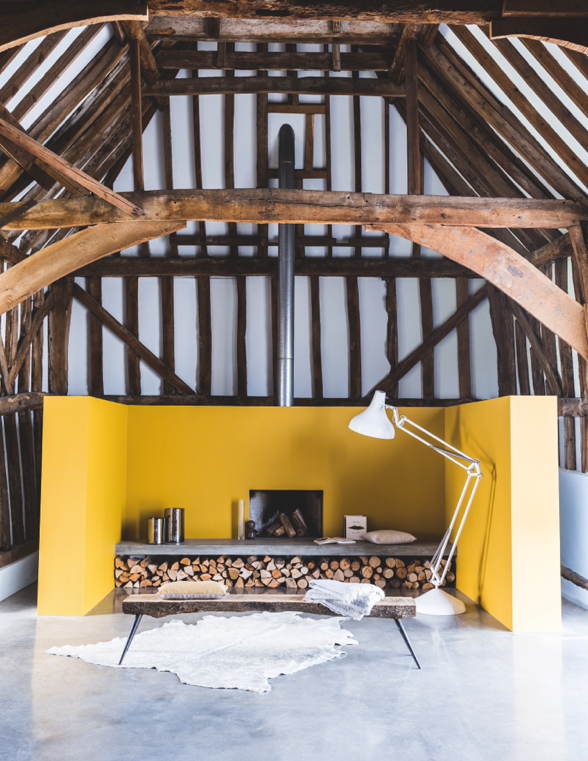 If you prefer flat bold colours to patterns, then why not try introducing yellow ochre’s, hot ambers and rusty oranges. These shades will warm up any interior this Spring. Try combining these with a dash of royal or midnight blue to make the colours really ‘pop’. Spring is a great season to clean up and clear out. Space is often at a premium, but why make the choice between a bedside table or a bookshelf, a workspace or dressing table, or dare I say it a garden or play den…? More and more people are being creative with their small-space designs. Here’s one of the most ingenious: ‘The Warren’ from playground designer, Olly and his wife Tamsin. They built a 12m square warren that’s effectively underground to give their kids a place to play. The removal of 40 tonnes of earth has meant that they can still have their garden and sleep 4 in the underground den. What a magical (space saving) idea! There are plenty of creative ways that both retailers and style hackers are making the best use of their space with just a little bit of imagination and some elbow grease. If you’re looking for dual-function storage solutions, then Hafele have some great modern options.If your style is more rustic then salvage and reclaimation yards are great places to go to turn unwanted junk into treasures. For online stores try ‘Retrouvious’, ‘Beeston Reclaimation’ and ‘Cox’s Yard’ – all well worth a visit If you’re in need of some inspiration. I was delighted to have my article (above) published by Appleyard London last month. Appleyard are a gorgeous boutique florist. As seen in House & Gardens, Vogue, Elle Decoration and Vanity Fair Appleyard delivers beautiful, fresh luxury flowers throughout the UK.